15 years of experience as a privately owned, full service transportation solutions provider Northwest. 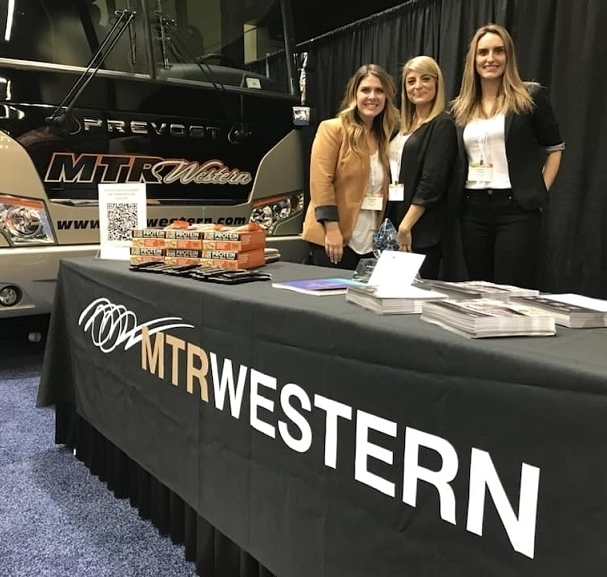 MTRWestern is a privately owned, full service transportation solutions provider serving clients throughout the Pacific Northwest. Our business operations range from short-term Charter Bus rentals to long-term Shuttle Service contracts. We maintain and dispatch a fleet of modern vehicles from four hubs in Seattle, Spokane, Portland and Eugene. Transportation is our product, but hospitality is our business. 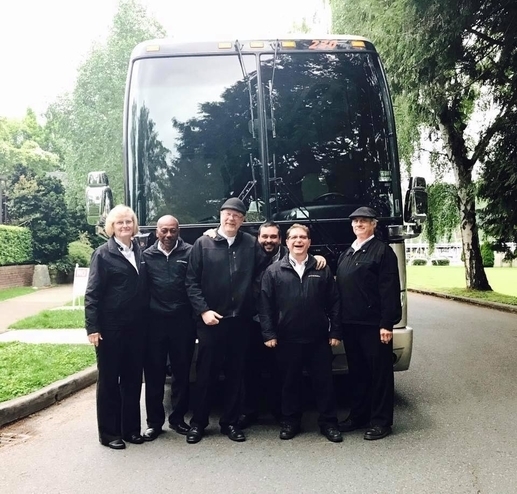 Whether you ride on an MTRWestern shuttle bus for one leg of your commute, or on one of our luxury charter coaches for the full length of your company outing or vacation, we want you to feel comfortable, safe, secure and relaxed for the entire ride. MTRWESTERN is a wholly-owned company of Seattle Hospitality Group. For decades, Seattle Hospitality Group has been instrumental in turning the Pacific Northwest into a world-class destination for tourism and business. Seattle Hospitality Group is led by H.S. Wright III, an owner and operator of many of the area’s top hotels, in addition to iconic destinations like the Seattle Space Needle and Chihuly Garden and Glass. MTRWESTERN provides transportation solutions to the US Military; the region’s top professional and collegiate sports programs; and the area’s top employers, casinos, hotels, resorts, and tourism operations. We also work with church groups, social clubs, families, schools, commuters, and anyone in need of getting from Point A to Point B in safety, comfort and style. For more information about the types of clients we work with, visit our pages for Motor Coach Charters and Shuttle Services. MTR is amazing to work with! Their coaches are gorgeous and the drivers are polished, knowledgeable and experienced. The sales and operations team are always very responsive to our requests and needs. I feel like it is a true partnership. Transportation is such a critical component and MTR’s implementation and professionalism is outstanding and expertly executed. Working with MTR Western has been an absolute pleasure! Their staff works hard to deliver a great service to us and it is extremely noticeable and helpful. There are a lot of details that go in to moving a big group like ours and knowing that the MTR staff is on our side makes my mind at ease. They are trusted, reliable, and an absolute pleasure to work with! MTR is my first call when I have a transportation need. MTR has a sincere wish to please their client at every stage, from planning to execution to billing. Their willingness to be flexible (sometimes up until the last second) is one of the things that sets them apart. MTR does all of this with the highest level of professionalism and courtesy. They are the best in the city. We’re proud of our work we’re able to accomplish, and much of the credit goes to our amazing and unique culture. Along with our values, our culture helps us come together to overcome problems and achieve great things. Transform the way people move. Provide best-in-class transportation solutions to our valued clients. Maintain the highest standards of integrity, innovation, professionalism, safety, and performance. Earn the trust and loyalty of every guest through our signature VIP hospitality treatment. Ensure our exceptional employees have every opportunity to build a rewarding career in a respectful and collaborative work environment. Our team shares a common set of values that reinforce our mission and vision and set us apart from other operators. These values reinforce what makes us great. The safety of our guests and employees is our first priority. It is at the forefront of each and every decision we make. It is our commitment to our passengers and to those with whom we share the road, to create a safe, comfortable, and hospitable environment. It is by no mistake that our clients continue to book their Charter and Shuttle Service needs with us time and time again. This is a direct result of the MTRWestern staff. We strive to hire the best and as a result, each member of our team is committed day in and day out to be exceptional for the success of our clients and guests. We are in the business of hospitality. It is our goal to provide each of our guests with outstanding service through each of our departments preforming at their best. Similar to a professional athletic team, each department, from Sales, Operation, Maintenance, HR, Accounting, and Wash Crew, have to preform at our best to deliver the best in the industry. Each department is interdependent for the success of our guests. At the core of our accountability is reliability and personal responsibility, ensuring the decisions we make and actions we take will honor our commitments. Would you like to speak to one of our experts? Just submit your contact details and we’ll be in touch shortly. You can also email us if you prefer that type of communication.